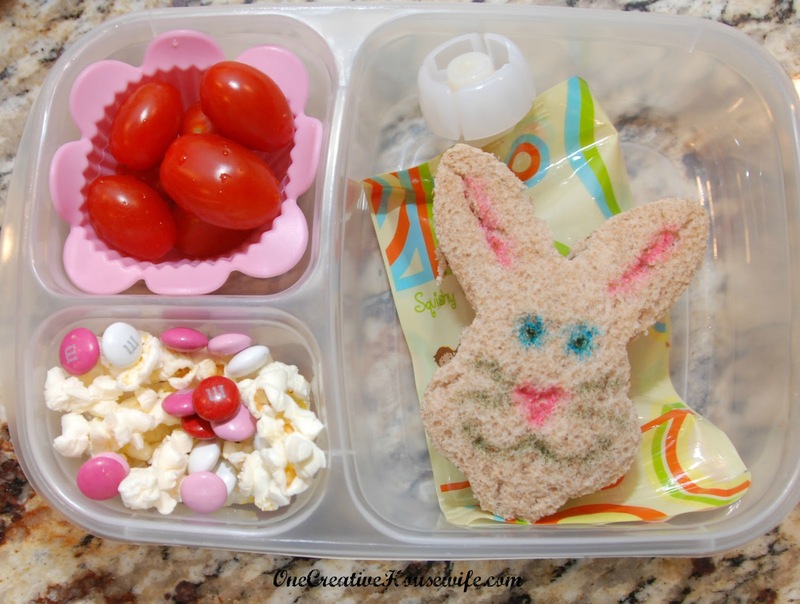 On Monday I went to Target, and apparently my little stroll through the Easter section, made a huge impact on the lunches I made for my daughter the rest of the week. 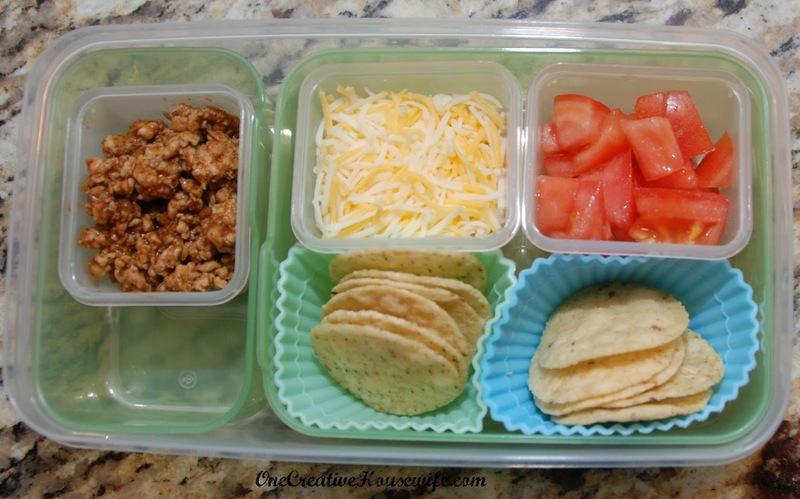 She had taco turkey, shredded cheese, tomatoes, tortilla chips, Greek yogurt (not pictured), and a Sistema Twist N' Sip* of water. 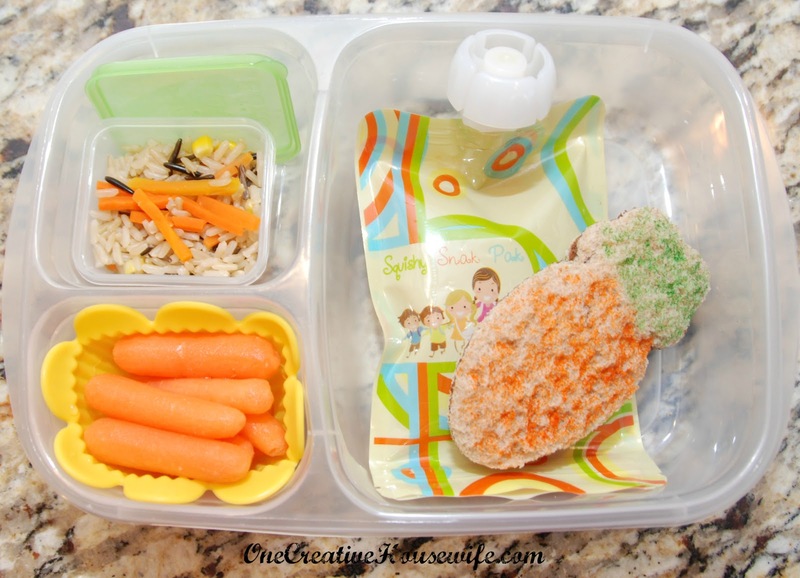 I packed her a carrot shaped sandwich, carrots, wild rice with mixed veggies, a squeezable applesauce, and a Capri Sun. 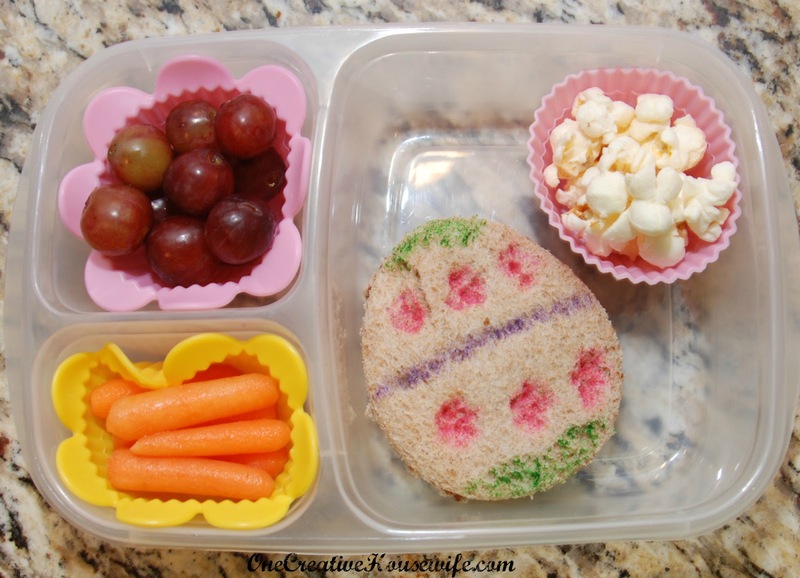 She had an egg shaped sandwich, white cheddar popcorn, carrots, grapes, and a Capri Sun. She had a bunny shaped sandwich, squeezable applesauce, grape tomatoes, popcorn with M&Ms, and a Capri Sun. 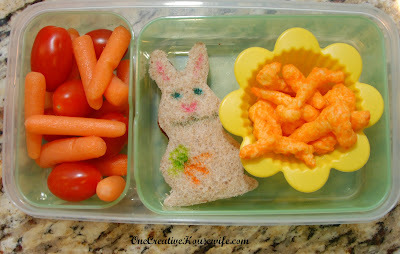 I packed her a bunny shaped sandwich, carrots, grape tomatoes, cheese doodles, and a Sistema Twist N' Sip* of water.